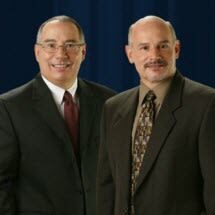 McKnight and McKnight Law APC are California personal injury attorneys that represent seriously injured individuals and their families in major injury and product liability actions. The law firm is located in Bakersfield, California, and has roots in Kern County for over 30 years. We are hard working attorneys with a reputation for success. Accidents that cause serious personal injuries often place an overwhelming financial and personal stress on a family or individual. Injuries from accidents happen without warning and when least expected. For misfortunes like these, you need the best representation that you can find. At McKnight and McKnight Law APC , you'll find the best quality in legal help. We'll fight hard to protect your rights! We have proven experience representing cases that range from auto accidents to wrongful death due to defective products. Our law firm handles a wide range of personal injury claims including cases that involve malpractice, slip and fall injuries, insurance claims, brain injuries, spinal injuries, burn injuries, whiplash and nursing home abuse. We'll provide you with the proper protection that you need and work hard to get you the personal injury and accident compensation you deserve. We understand the pain and suffering that results from a personal injury accident. Our firm will lessen your stress level by helping you navigate through difficult financial burdens and serious legal issues.